Hello. I apologize for my radio silence, but I’m here today to share with you a quick week night meal. My life has resorted to trying to save all kinds of time with my cooking because I try to go to the gym 5 days a week and with that it takes planning or dinner wouldn’t be on the table before 8 PM and we all know that’s too late to eat anyway. I had some chicken legs in my freezer that I unthawed Sunday night, so I knew I could toss them in the Crockpot after seasoning with some Sweet Baby Ray’s BBQ Sauce and cook on Low for 4 hours and I would be good, but what to have with it? As I perused my social media, those memories are really coming in handy! 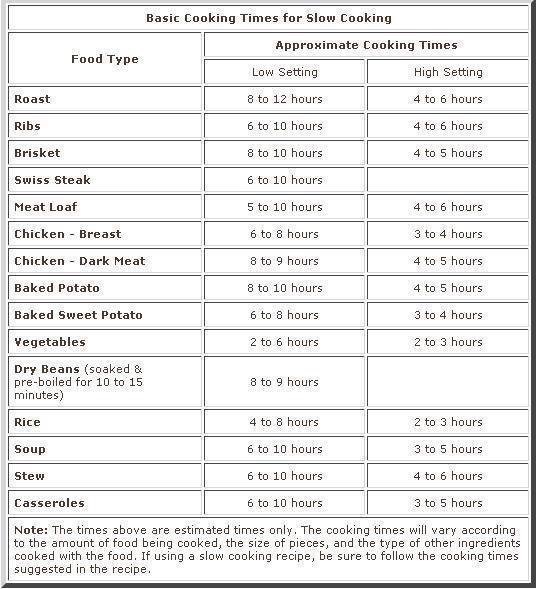 I ran across a post I shared on bookface 2 years ago that was a handy chart that I’m going to share that actually was very useful with me having my Sweet Potatoes ready when I got home from my Y Strong class at the gym since I didn’t get up early like I initially planned to bake in the Oven before work. 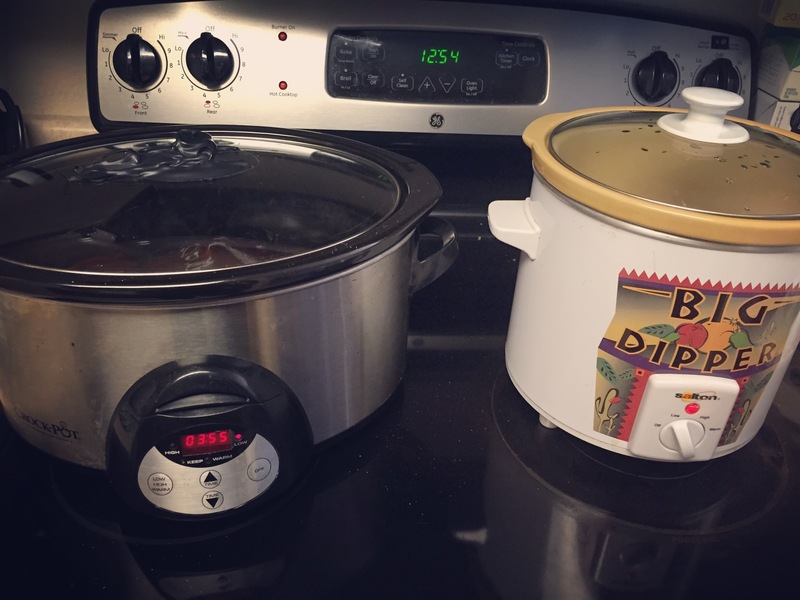 2 Crockpots going at the same damn time! This is how I do Lunch! Dinner was very good! 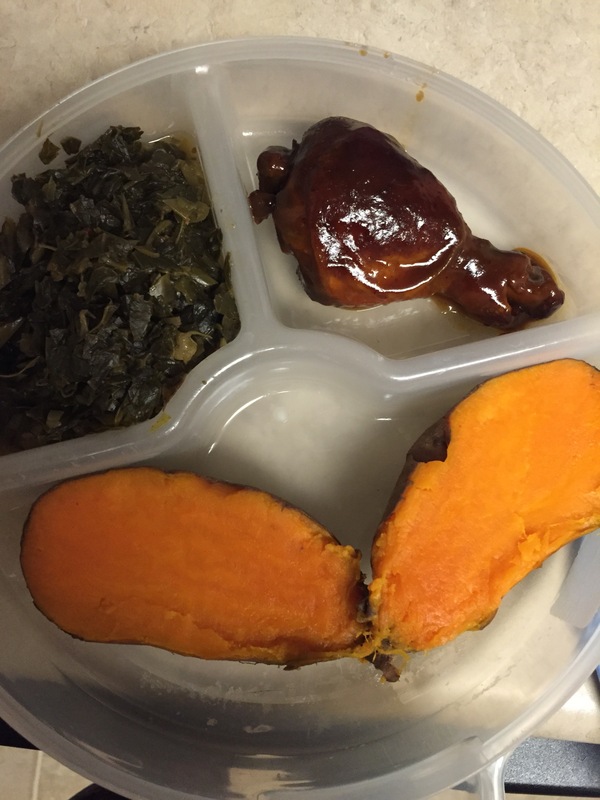 So, if you need to save time during the week, here are 2 very quick and easy recipes. And I just added a green vegetable to round it out. 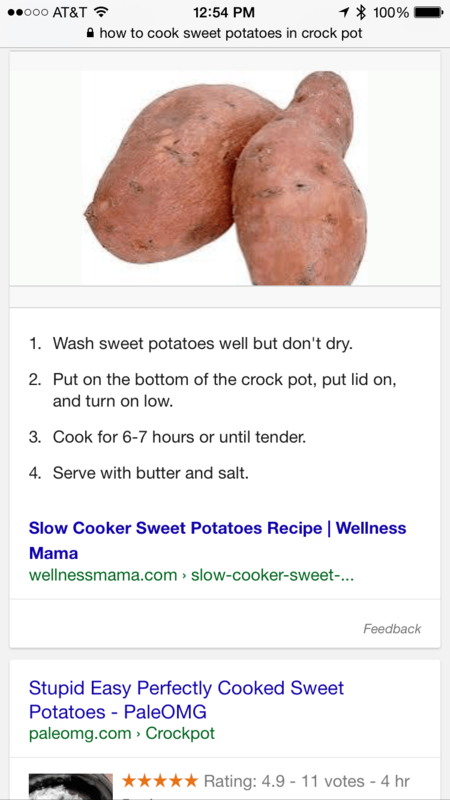 I plan on doing all of my Sweet Potatoes this way! I’ll make a few at the beginning of the week to have on hand for meals. What Culinary Delights have you made lately? This entry was posted in Clean Eating, Culinary Delights. Bookmark the permalink. That’s a great chart! Thanks for sharing. Girl I put everything in the crock pot! A crock pot is a working woman’s friend!! !